← Sausage and Potato Chowder ~ Quick and Easy Soup for 2! 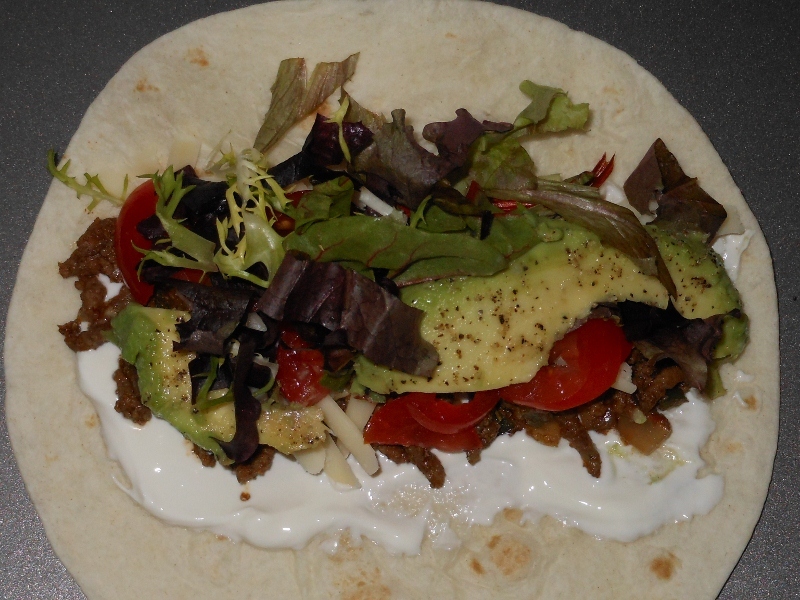 Jalapeno Lime Taco ~ with sliced avocado of course! We enjoy quite alot of mexican inspired food. Avocados are one of our favorite snacks; many times we simply slice the avocado squeeze on some fresh lime juice and sprinkle with salt and pepper. As for our tacos and just about any food we consume we try to avoid all of the artificial flavors, preservatives and MSG. Therefore we have to make our own seasoning for tacos. We have many different recipes and techniques we use and today of course was no different. This time we went with a lime and jalapeno version ~ very spicy; no sauce needed! Below is the recipe we used. Add any of your favorite extras. Sour cream tomatoes, lettuce, cheese, avocado …… just remembered I forgot to use my homemade canned corn relish today! Oh no, going to have to make tacos again soon! Cook the meat along with garlic, jalapenos, and onion over medium high heat. Add the seasonings just before meat is cooked through. I like to add the seasoning while the meat is cooking to incorporate the flavor more fully. If needed drain the meat ~ chuck or round is less likely to need the fat drained; keep in mind if draining you will lose some of the flavor but nobody wants a greasy taco and you can always add more seasoning as needed. Add the tomato juice and lime juice. Heat through test for flavor and serve. 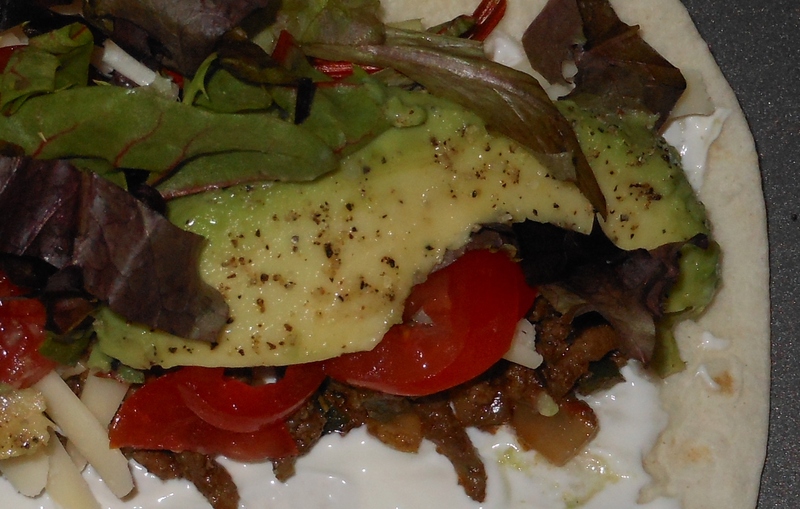 Great with crunchy or soft taco shells; which ever you prefer and your favorite toppings. This entry was posted in Entrees, Recipes and tagged avocado, cooking, food, ground beef, homemade, jalapeno, lime, recipe, spicy, taco. Bookmark the permalink.